What skills did Grandpa need to survive? We all want to “live a long time” but we don’t want to “get old.” Funny thing, language. “Survival” is the same as “living.” If we don’t survive, we die. If we don’t live, we die. Same thing, no? 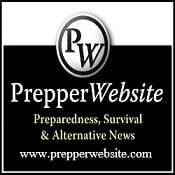 When the SHTF, modern technology (cell phones, microwave ovens) will disappear and our lifestyle will return to an 1800’s lifestyle, to Grandpa’s era. What skills did Grandpa need to survive? Not just survive and hang onto life by a whisker, but survive and prosper? You will need the ability to read directions. “Turn the adjusting screw clockwise.” Today, my neighbor’s kid doesn’t know how to read an analog wall clock. She doesn’t know what “clockwise” means. You will need to keep a diary. “A short pencil is worth a long memory.” What was the date you started the tomato seeds last year? And what were the results? And the year before that? And what was the variety name? And how much did you pay? Cursive writing is three times faster than printing. It’s much more efficient than printing. My neighbor’s kid cannot do cursive writing. Nor can she read it. Nor can my doctor’s receptionist read cursive writing. She’s edjumacated. She’d have a hard time in the 1800’s. You can always hire somebody with a strong back for stoop labor. Always. You can today. You could in the 1800’s. But finding somebody who can “do” numbers. Without a calculator? Different story. The three skills that Grandpa valued – reading, writing, and arithmetic – are the same three skills that you, like Grandpa, would need to live in Grandpa’s era. Everything else you can figure out as you go along. If you have those three skills. Next question? Perhaps because of my age and because I am not around young people much, it did not occur to me that the three Rs (the three “Rs”—reading, ‘riting and ‘rithmetic) were becoming lost in the digital age. If what Ron is saying is true, however, then indeed, these are definitely skills that need to be promoted as survival skills. In these days of computers, smartphones, eBook readers,tablets and Xboxes, it is easy to become seduced by technology. We all need to do our part to ensure that these three vital skills are not lost. 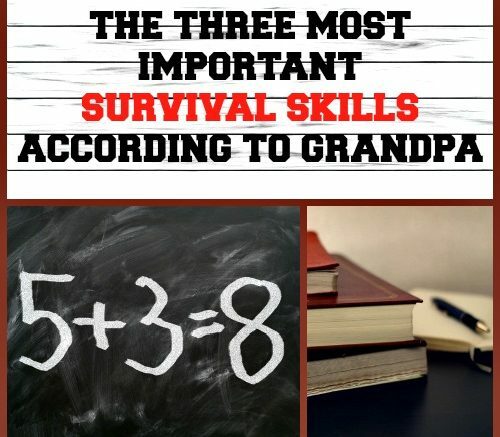 Be the first to comment on "The Three Most Important Survival Skills According to Grandpa"